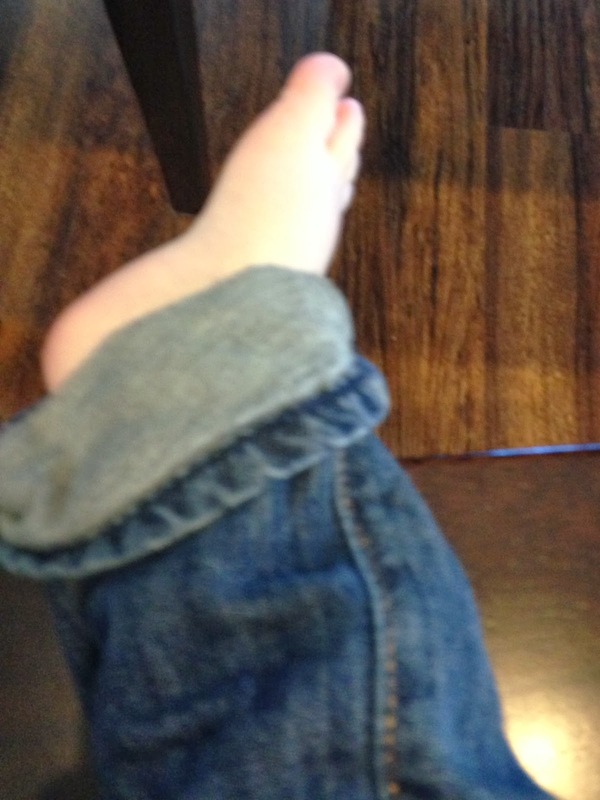 ...like finding a slightly blurry photo of your baby's foot, taken by baby himself. The foot that spent the last trimester of your pregnancy lodged in your right rib. Those toes that you counted when they were born. The toesies that you threaten to eat daily. The feet that seem to find your belly in the middle of the night. I can't get enough of his little baby feet! It really is the little things that make my day. Aw, so sweet!!! Love baby feet & love that you think of those kicking your ribs (I miss that!!). Oh I know all about those little toes in my belly in the middle of the night! My husband and I just found that picture of the different positions babies sleep in when co sleeping and Noah sleeps like the "H is for Hell" lol. Head by husband and feet kicking me lol :). Really, really sweet. I am impressed Liam took the picture, too! haha! Love that photo you found. So sweet!!! I love baby feet!!! Baby feet are the BEST. Especially if they are surrounded by fat little ankles. aww now that is cute, foot selfie! I LOVE this one! Pretty much the sweetest thing ever!